The Beauty and Skincare Clinic in Lagos, Nigeria | How To Control Excessive Sweating. 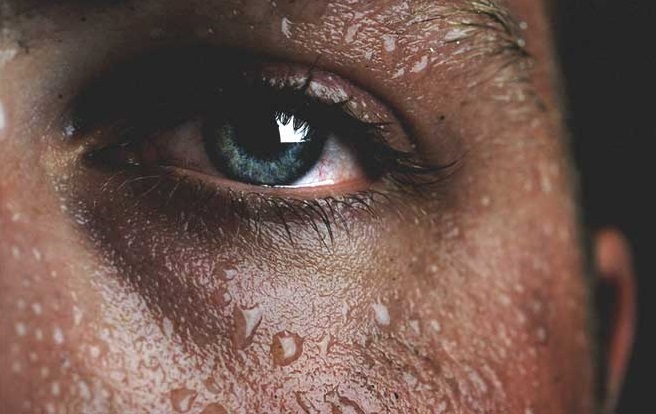 How To Control Excessive Sweating. Hyperhidrosis is a medical condition characterized by excessive sweating. The sweating often occurs in areas of a higher concentration of sweat glands, such as the underarm, palms of the hand, soles of the feet, or the whole body, in some cases. Although not life-threatening, it can be uncomfortable, embarrassing and cause insecurity. First line treatment for excess underarm sweating starts with topical deodorants and antiperspirants. In the case where these prove unsuccessful, Botox offers a next line of treatment. As well as treating lines and wrinkles, Botox also treats Hyperhidrosis. The Botox injections help block nerve impulses that activate the sweat glands and cause production of sweat. Skin is numbed topically to make the process comfortable before the Botox is injected with shallow injections into area of treatment. Procedure takes about 45 minutes and client can often return to daily activity shortly after. Full results are usually seen a few days after and last about 6 months, after which a top up is advised. After care will be discussed at time of treatment.